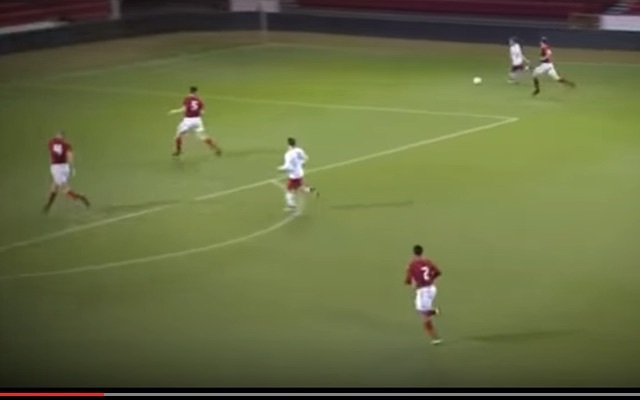 Liverpool’a academy starlet Brooks Lennon is absolutely rapid! The American was poached from Real Salt Lake in 2015, and now aged 18, is a key player in Liverpool’s Academy. Earlier in the week he played a starring role in our FA Youth Cup victory over Nottingham Forest, which saw us progress to the quarters with a 2-1 win. Lennon assisted Herbie Kane’s goal brilliantly, but displayed sheer pace and running throughout. He’s slight, but his running style looks similar to a young Michael Owen’s, before he got all injured and Man. United. Liverpool’s first-team is currently crying out for pace in attack, but in Lennon, Sheyi Ojo and Ryan Kent – we have a number of speedy teenagers waiting to make their mark. If James Milner and Adam Lallana continue to provide so little excitement on the flanks, we might see a youngster get a chance – off the bench at least – sooner rather than later.